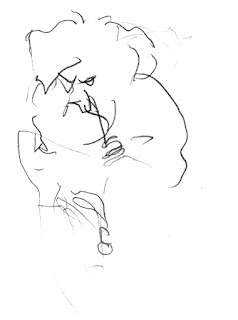 On the opening night of the EFG London Jazz Festival 2016, Friday November 11th, I went to the Royal Academy of Arts to see ‘Jazz Abstractions’, Evan Parker’s solo performance. It was part of the programme of events to celebrate the RA’s magnificent Abstract Expressionism exhibition. 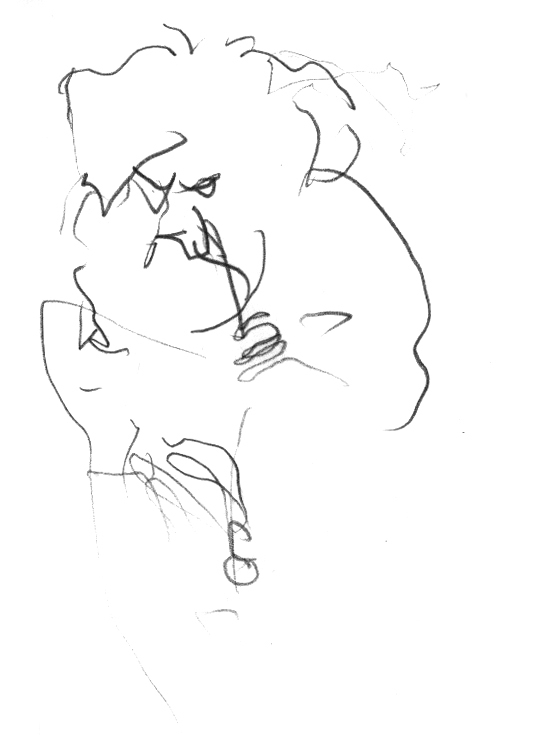 The sketch is of Evan Parker in full flow. Parker’s improvised recital on soprano sax, comprising four pieces of dazzling multiphonics, was both meditational and mesmerising. In conversation with David Ryan after the concert, they touched on the similarities between the approaches to process of the American painters of the early 60s with those of improvising musicians. Parker also talked about his technique, describing how his left and right hands work the keys simultaneously, each with a degree of autonomy, building up overlapping and colliding layers, with continuous breathing powering the bracing sonics.